There is only one thing that is better than a motor which saves the planet and that is a motor that keeps you in luxury while it is doing it. 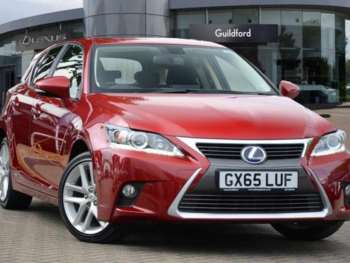 Lexus has not been slow to offer its well heeled customers the option of hybrid technology at the top end of its pricey range but it has been less forthcoming with the more affordable models. Perhaps it thought that its sister company's Prius had the eco market well looked after. Whereas that car is aimed at the Ford Focus level however, Lexus has finally realised that the type of folk who would normally buy something like an Audi A3 or BMW 1 series might also like to look after the environment. 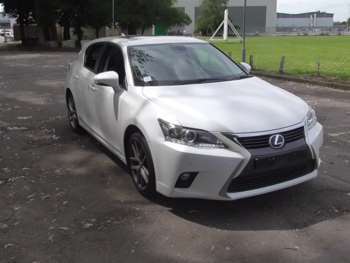 That is where the Lexus CT comes in. A hybrid aimed squarely at the compact executive market, CT stands for 'compact tourer' and brings a touch of class to eco friendly motoring. 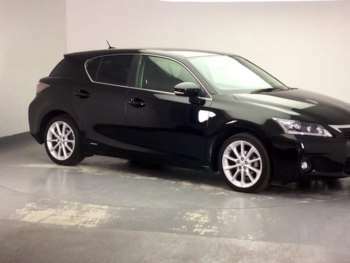 For those who want to save the planet but still have a bit of brand envy from the neighbours about the new car on their driveway, the Lexus CT is, on paper, a perfect fit. 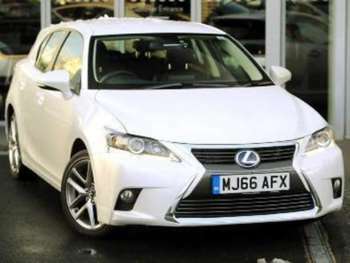 Obviously the power plant is one of the major reasons for buying a hybrid and the good news is that the approved used Lexus CT has one of the more sophisticated set ups. The combination of petrol and electric motors is in parallel configuration which means that the power sources can work independently of each other or together. What that means in practical terms is that you can start up the car in electric only mode and continue with electric only power until you cover 1.5 miles or reach 28mph, when the petrol engine will kick in. It also has some clever settings to maximise energy reclamation from braking and slowing down. Outside, the car is hailed as an example of Lexus' L-Finesse design language. 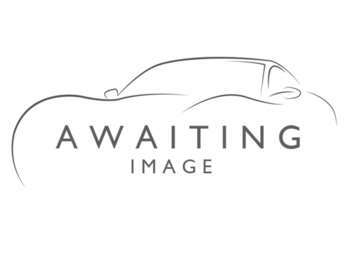 What that truly means is a little unclear but it is not an ugly car and recalls the sporty hatch looks of a BMW 1 series. Inside, the cabin does not disappoint. It has a standard spec list that puts its German rivals to shame and it simply oozes build quality. Even the base models come with 17" alloy wheels, Bluetooth for your mobile 'phone, USB compatible stereo and rain sensing wipers. There is also rear privacy glass, quality CD stereo, leather-covered steering wheel, dual-zone climate control and UV-glare-reducing windows. 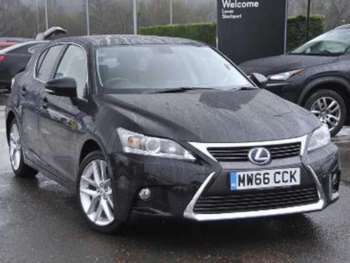 There are also plenty of additional trim levels for those who want even more. The cockpit is extremely well thought out and you are left in no doubt that you are sitting in a quality motor car. 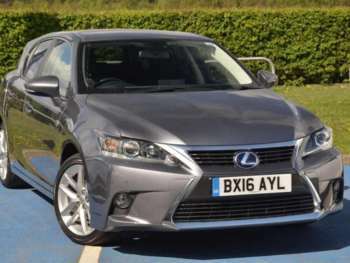 In terms of practicality, Lexus has excelled. There is more room in the back than in a BMW 1 series and clever design means the boot is entirely unencumbered by the battery pack. 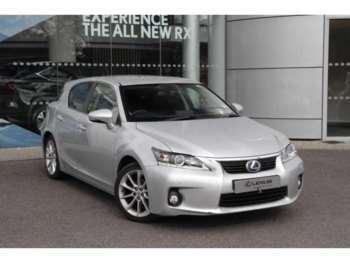 A 2011 (11 plate) CT 1.8 in SE trim with 16,000 miles on the clock will cost a shade under £17,000. 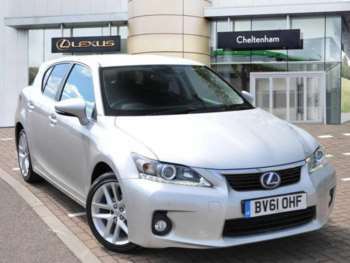 A 2012 (62 plate) model in SE-L trim and with just 3,600 miles covered is yours for £29,000. 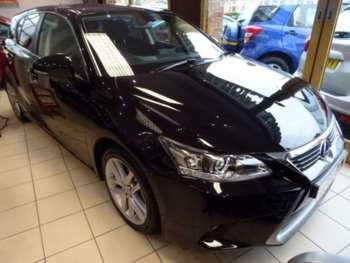 Even the earliest 2011 cars are still covered by Lexus' five year 60,000 mile hybrid warranty so that should give you a great deal of comfort. No serious problems have been reported so far. You shouldn't need to worry about parts on a used Lexus CT for some time but front brake pads come in at around £60 with and air filter nearer £30. The combination of electric motor and 1.8 litre petrol engine gives 134bhp and takes you from 0-62mph in 10.3 seconds. Maximum speed is 113mph. Lexus has tried to tighten up the Prius underpinnings to reflect this car's more executive and sporty image but the result is a ride that can be too hard and not what you might expect from a Lexus. The car is not fast by any means and there is a distinct lack of punch in the mid-range. That said, the taut suspension set up means it handles pretty well and there is plenty of grip in the corners. Dynamically then it is some way short of the standard German executive hatches but out on the motorway and in relaxed driving mode, that is unlikely to trouble the majority of drivers. 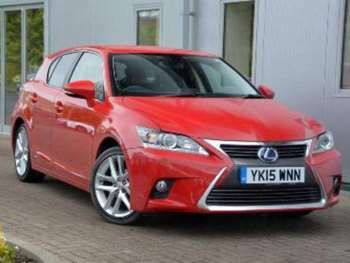 Got a specific Lexus CT model in mind?